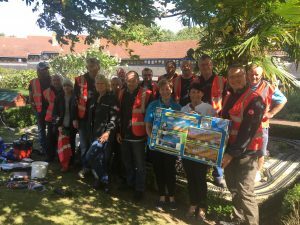 From York to Benfleet on 14th September 2017 the whole Thermit Welding (GB) Limi crew was out working hard. 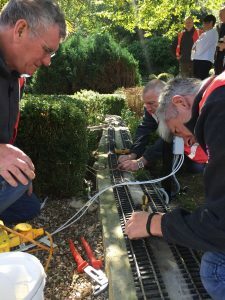 While technical and sales staff were demonstrating the innovative SMARTWELD ACE and SMARTWELD JET to a Network Rail audience of Track leaders, Section Managers and Technical specialists from the London North East route, the rest of Thermit team were volunteering at Little Havens children’s hospice repairing their ailing model railway. 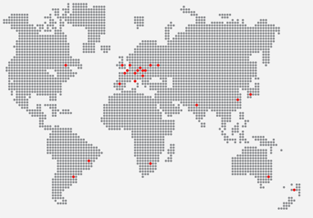 Little Havens is a unique hospice in the UK, offering respite and palliative care to children from birth through to 18 years old. A dedicated team of Nurses and Carers backed by volunteers, have built and are successfully running the centre which supports a very wide range of therapies and needs all set in beautiful grounds dotted with themed areas, play equipment and gardens to help the children and families during their time in the centre. 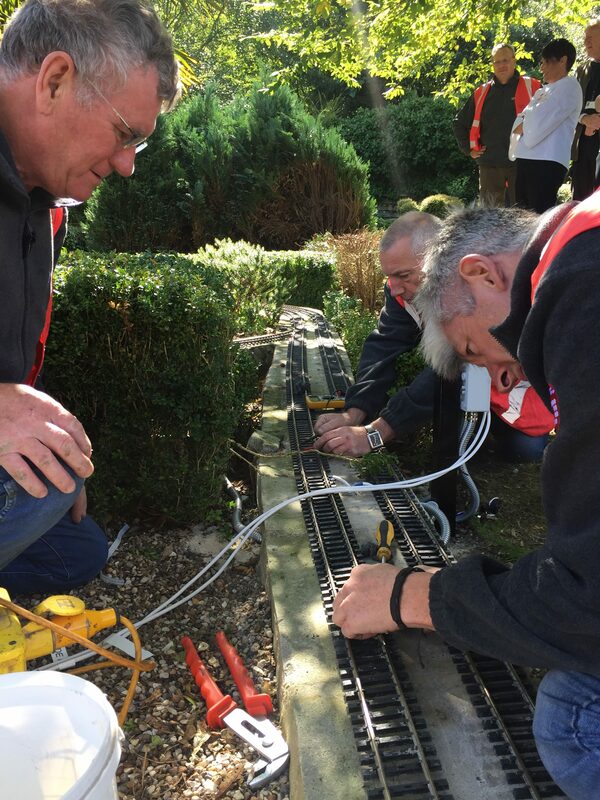 Having previously visited Little Havens in 2015, and having spotted the train track in a state of disrepair, the Thermit team were eager to return and leave a lasting change in the best way that any Goldschmidt Thermit Group company could, via the railways. 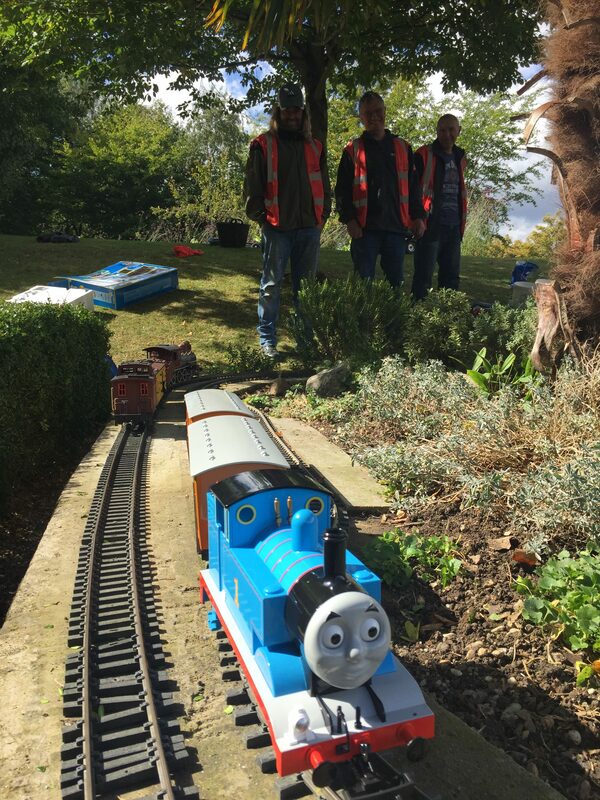 Between getting the track fit for purpose and the train running smoothly, members of the team were also able to clear, tidy and repair the surrounding areas for the children to enjoy. The Little Havens staff were overjoyed with the fixed track, and assured us that the children would love the renovated track for years to come. 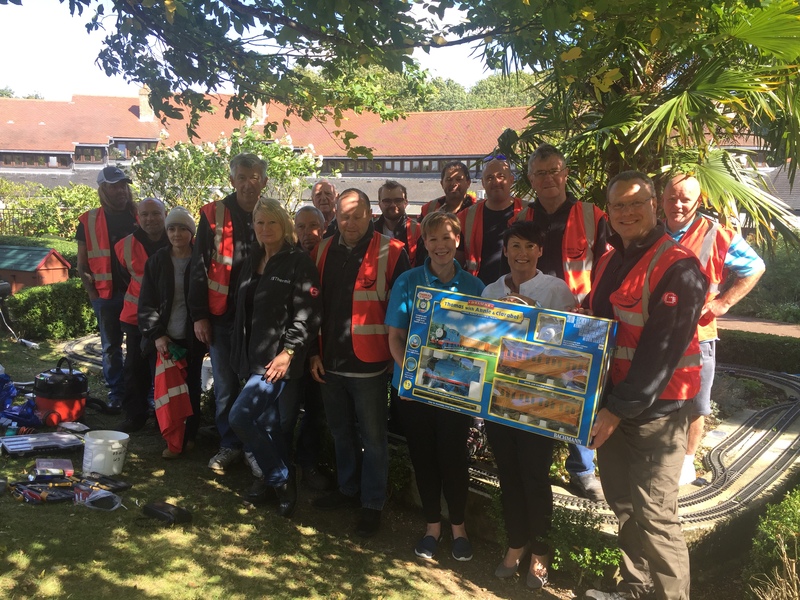 The Little havens staff were also extremely appreciative of the gift, provided by the Thermit team, of a Thomas the tank engine train to run around their newly fixed track. The train was graciously accepted by Helen Forster, Director of Care (in white) and Vicky Thornton, Care Team Nurse (in blue), both of whom happily reviewed the repairs with great satisfaction. 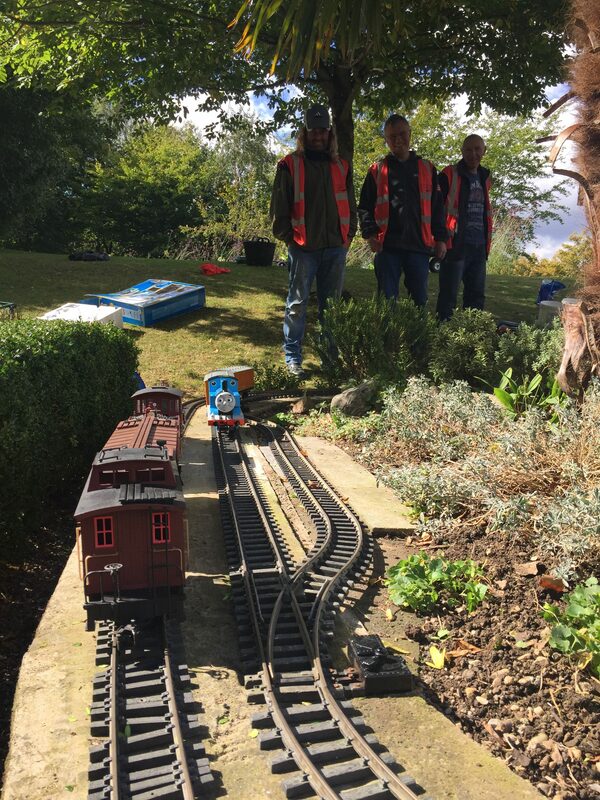 The track will be looked after by the very enthusiastic ex-London Underground Manager, Charles Morgan, who deserves a special thank you for the support he provided to the Thermit team on the day. Further thanks must be given to Paul Baxter, Thermit’s current site electrical contractor, for his aid in repairing the tracks electrical requirements for which us and Little Havens are very grateful. Many challenges were found throughout the track repair, including the installation of bolted joints, grinding bits of track, maintaining points and even bonding ballast. Through all this hard work at the end of the day the team were happy to say that they got the track working again and Thomas running.